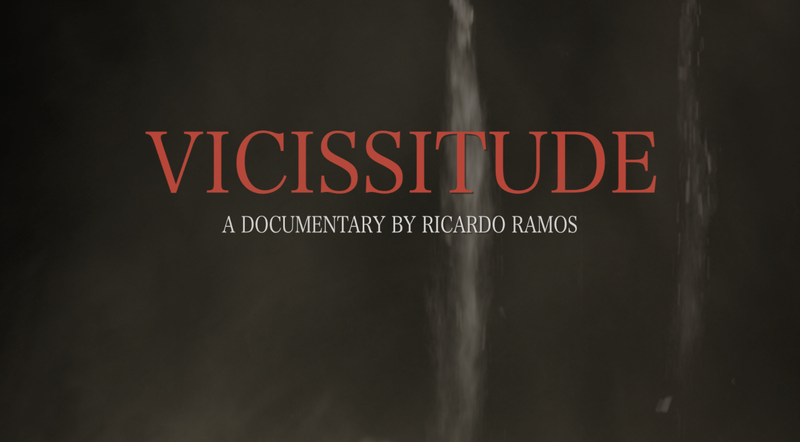 Film and Television Production: The Journey of "Vicissitude"
Vicissitude is an independent documentary that takes the viewer on a journey with several people who have been innocent victims of the drug-related violence in Ciudad Juarez, Mexico Whether they were carjacked, had to shut down a business, or had a relative killed, the feature-length movie pays homage to the thousands of people who have lost their lives since 2008 by portraying a more personal side to the story. The purpose of the documentary is to show what people never really got to see on the news, and to give a voice to those who had to go through this experience of radical change. It also shows a progress, which is slow but certain, and the hopes that the city and its people have to once again be free of war. As the months passed by, I put the script aside but the thought of doing a story about the violence would bother me every night. I knew I had to tell it some way. In the summer of 2011, my best friend told me while having a conversation that she would love to visit Juarez. We had a break for Memorial Day coming up, so we planned a little trip to my hometown. An idea struck me that same night. I realized this could be the perfect opportunity to shoot a documentary. I had just taken two documentary classes, and the instructor, who is an Emmy award winner, had been a true inspiration. After giving it careful thought, I asked her if she wouldn’t mind to change our trip into a business trip. She was all for it. I did pre-production for approximately two months. This process consisted of crewing up, contacting potential interviewees, setting up a Kickstarter account to raise funds for the project, getting a hold of equipment, and many other things. I successfully raised a little over a thousand dollars, which I used to pay part of the plane tickets of the three people who came with me plus some other miscellaneous expenses. We shot the documentary during the four-day trip and it was nothing but a great learning experience as an aspiring filmmaker and as a person. Our biggest challenges had to do with time, but we managed to get things done. We came back with about 150 hours of footage from interviews, and that’s not counting B-Roll. 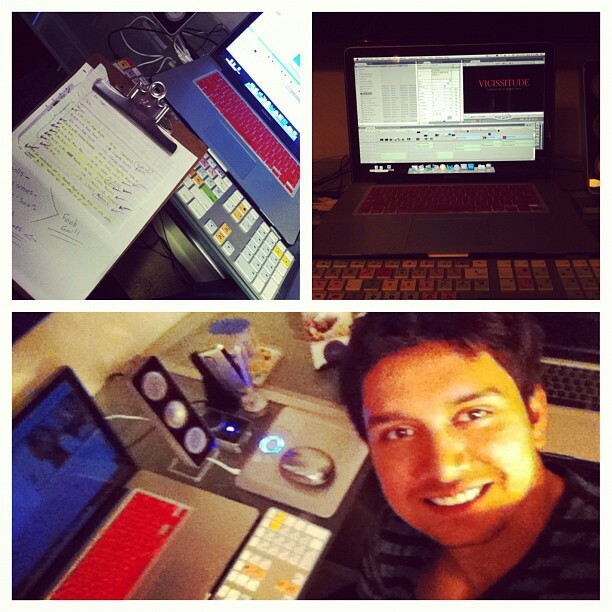 The editing process was probably the most difficult but most rewarding. Having to balance school, work, and extracurricular activities, made it difficult for my first editor and me to get together. Luckily, I was blessed to bump into Mauricio Martinez one day at school, the guy who ended up becoming my editor and who is now a close friend. I happened to be wearing a soccer jersey from Mexico and he asked me where I was from. We had a short conversation before I needed to head back to class from break but we exchanged our contact information. We then took it online. It was here when I realized he speaks Spanish, is familiar with the subject, and one of his fortes is editing. As a result, he ended up editing the project and receiving a producer credit due to his contribution to the structure of the story and for recommending me an amazing recording arts student to compose the soundtrack. We finally finished the lengthy process on November 21st, a day before Thanksgiving. I am aware that this is only the beginning, since now I have to figure out ways to get people to watch it, submit it to different film festivals, and screen it wherever I can. My top priority right now is the Florida Film Festival, we have a deadline coming up soon. This experience has taught me managing skills more than anything, and it has broaden my network. I hope something good will come out of this story and I can’t thank enough the people who contributed to this project by either working on it, investing, participating, or sending the good vibes.